Home | Capel Curig Tourist Information and pictures of Capel Curig, Conwy County, Wales. Capel Curig is renowned for its association with the mountaineering and hill walking fraternity and is indeed a base for many visitors to the mountains of Snowdonia. A walk from the village in a north westerly direction leads you to the Carneddau range of mountains, including Pen Llithrig y Wrach, Carnedd Dafydd, Carnedd Llywelyn, and the lakes of Llyn Cowlyd, and Llyn Eigiau. Don't fancy the high mountains Then head north west out of the village and walk the pleasant trails past the lesser hills of Craig Wen, Creigiau Gleision, and the Crimpiau, en-route to the beautiful lakes of Llyn Crafnant and Llyn Geirionydd. Head due south out of the village and you are immediately on the lower slopes of Moel Siabod with the option to take the trail to the summit of Siabod or do a bit of valley hopping. Follow the ancient tracks over the hill and far away (well it's not that far) to the beautiful Lledr Valley and the village of Dolwyddelan. Closer to Capel, on the very edge of the village, there are delightful walks around the twin lakes of Llynnau Mymbyr, with views of Mount Snowdon and the Snowdon “horse-shoe” that are unsurpassed. Alternatively, cross the wooden bridge at Plas-y-Brenin and stroll along the tree-lined banks of the Afon Llugwy as it tumbles toward the Conwy River at Betws-y-Coed. However, these are just the local walks. Jump on a Sherpa bus and within ten minutes you will be in the Pass of Llanberis from where you may trek to the top of Mount Snowdon itself or venture over the Glyders and return via the Ogwen Valley. Plas y Brenin. The UK National Mountain Centre is located in Plas y Brenin, Capel Curig and offers an extensive range of outdoor courses, including mountain biking, kayaking, hill walking and orienteering amongst many more activities. Taster sessions are also available, giving you a glimpse of the impressive facilities the NMC offers. The old church of St Julitta's sits on the banks of the Llugwy river on the western edge of Capel Curig. It was built on the site of the original 6th Century church of St Curig's, that gave its name to the village.. Capel Curig or Curig's Church. The church was rebuilt during the 13th and 14th century, but during the 19th century was considered too small and another church was built in the centre of the village taking the name of Curig with it. The old church was then renamed and given St Curig's mother's name Julitta. Although the old church is no longer consecrated you may still visit the church and it's historic graveyard courtesy of the “Friends of St Julitta's” (who have adopted the church) and have made the key available from the Pinnacle Café in the centre of the village. Another interesting old building located close by (I mile east on the A5) is the Ugly House. Legend tells us that it was a crude house built in the 15th century by two outlaw brothers. It was a 'Ty Un Nos' - or house built overnight. Today it is used as the Snowdonia Society's headquarters and the house and enchanting gardens can be visited and explored—it certainly is not an ugly house! Five miles away you will find Betws y Coed, the village famous for its rivers, waterfalls, and woodland walks. Betws offers a wide variety of public houses, restaurants, and accommodation as would be expected of a major inland holiday resort. Capel Curig may not be able to compete with Betws in this respect but the village offers a fair selection of cafes, pubs, and restaurant facilities to fill the needs of the hardy walkers and rock climbing fraternity that congregate in Capel Curig. And of course should you find you have left your most important bit of climbing gear back home, or simply need a pair of thick woolly socks, you will be able to buy a replacement in one of several outdoor gear shops either within or close to the village. 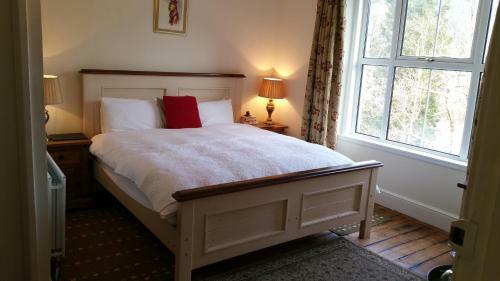 For places to stay, there are self-catering holiday cottages to be found both in the village and in surrounding area. 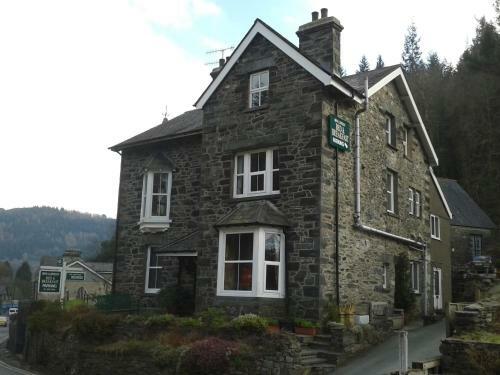 You may make an instant secure hotel or cottage reservation close to Capel Curig. Hotel and cottage availability and letting rates are confirmed online prior to booking. Simply click through to the accommodation page, choose a suitable property, check availability, including dates of stay, to confirm the exact room rate and reserve the accommodation.